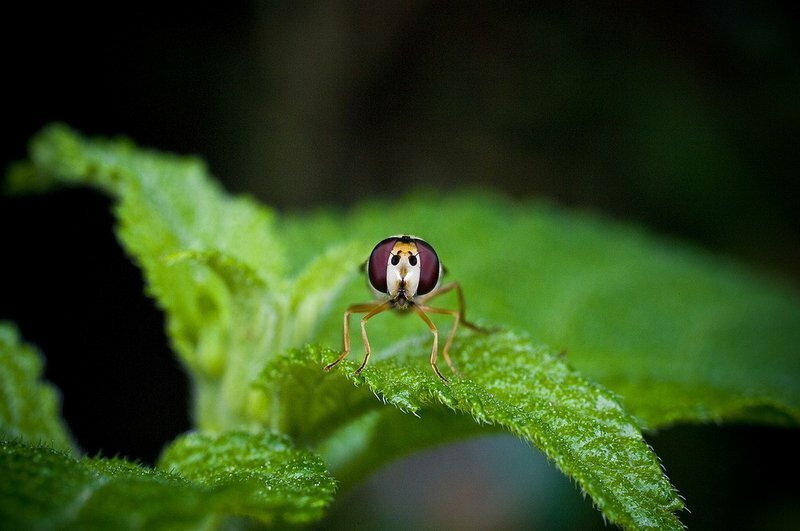 What would English literature look or sound like if there were no insects? What if someone were to ransack the literary past, taking away all the references that poets have made to crickets, grasshoppers, beetles and bees? A great silence would follow. Poems that were full of life would suddenly be untenanted, their landscapes no longer pulsing with clicking beetles, stridulating crickets, whirring mosquitoes or the various wing-tones of dragonflies, mayflies and damselflies. 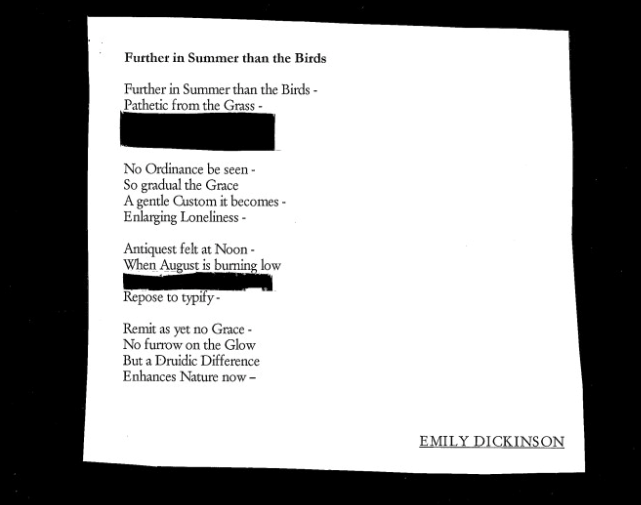 If you were to hold a bug-less collection of Emily Dickinson’s poetry in your hands – a copy in which all descriptions of insects had been removed with a penknife – what would be left? One scholar, tabulating the number of insects and arthropods that appear in her work, concludes that 10 per cent of Dickinson’s poetry concerns the world of bugs. The book you hold would be shot through with holes. But while rates of insect extinction are increasing there seems to be no corresponding shift in our attention to these species. Insects remain the victims of human ignorance and industrial pesticides – a doubly lethal combination. For conservationists, the challenges could not be greater. One problem is how to encourage citizens to care about animals about which they know little. How does one begin to appreciate the loss of the endangered Darkling Beetle, the V Moth, or the Wart Biter cricket, especially when these animals are not part of our daily experience? Another problem is the difficulty of visualising these threats. Images of polar bears on melting ice have a visceral effect, but it is much harder to observe – and therefore to feel – the damage that is being wrought to insect life. So much destruction is happening at a scale which is beyond our capacity to see it. One of the key tasks, therefore, is to find ways of portraying the ‘great thinning’ in ways that can’t be ignored, and it is here that artists, poets and environmental scholars have a role to play. By asking different questions from conservationists, and bringing new perspectives to bear on the issue, they may be able to illuminate the consequences of extinction in other ways. “The hardest thing of all to see is what is really there,” the writer J. A. Baker wrote in his classic book, The Peregrine. That statement is no less true today, but perhaps it is much more urgent. In his book Song of the Earth, the scholar Jonathan Bate argues that we can think of nature poems as ecosystems – as texts that imaginatively recreate the landscapes they describe. But what if we extended that thought a little further? What if we also thought of poems as vulnerable ecosystems, as living landscapes that continue to be affected by changes that are happening today? What if, every time an animal became endangered or extinct, the poetry of the past was retrospectively altered, terrible redactions made, and certain lines struck out from the record? These two images are taken from a scrapbook that I have been compiling as part of my research into endangered life, the aim being to visualise what the disappearance of insects from our environment and culture would ‘look like.’ The insects that have been removed – Dickinson’s ‘minor Nation’ of cicadas and Yeats’s cricket and bees – are still part of our landscapes today, but their populations have suffered huge collapses in recent years. If they were to vanish completely, part of the meaning of these poems would disappear too. Extinction always involves two stages: the loss of a species, and the unravelling of the relationships that these species make possible; a biological loss followed by one that is deeply cultural. The process of compiling the scrapbook produced many feelings of unease: to remove lines from a poem felt like an act of desecration. At the same time, it offered a way of giving concrete expression to ecological degradation. 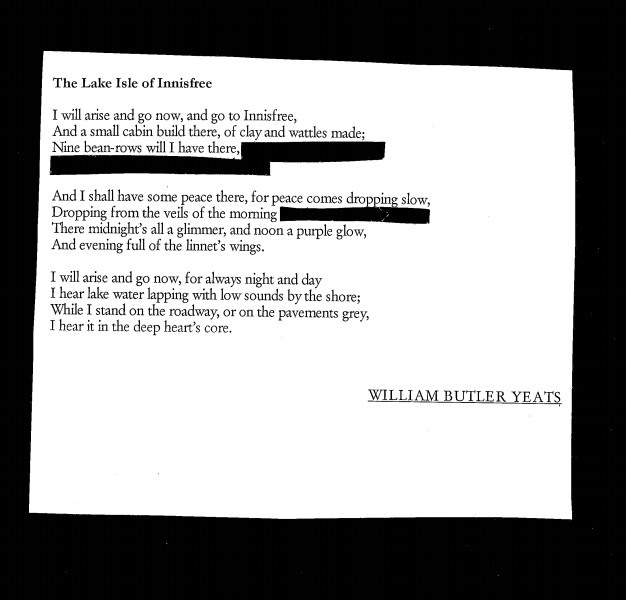 Without his ‘bee-loud glade’, Yeats’s Innisfree is impoverished, and what is Dickinson’s field without her cicadas, observing their ‘unobtrusive mass’? Stripped of insects, these poems not only lose a set of nouns – ‘cricket,’ ‘bee,’ ‘cicada’ – but also the diverse worlds these beings help to create. If conservationists struggle to get people to care about extinction, then perhaps one way of underscoring their message is to work backwards – not by imagining losses in the future but by subtracting actual presences from the past (literary and otherwise). The point of making such a subtraction is not to promote nostalgia or despair, but to deepen our appreciation of insect life; to see – through a process of negation – the rich marvelousness of their lives. It was only when the passenger pigeon was gone for good – once enormous flocks no longer blotted out the sky for hours on end – that their presence in landscapes was truly appreciated. It is too late for the passenger pigeon, but it is not too late for millions of insect species. Imagining their disappearance should spur us to fight for their survival.